Anyone who's drives has probably been caught in some extreme weather while on the road. That's exactly what happened to a young mother driving with her infant daughter during a thunderstorm in a small town north of Brisbane, Australia. 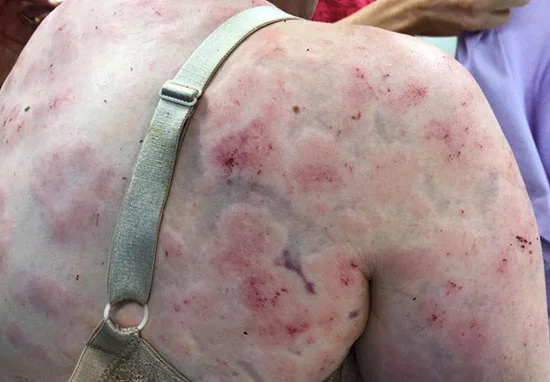 Fiona Simpson was traveling with her grandmother and her young infant daughter when they suddenly found themselves inside a supercell tornado. Tennis ball sized hail battered the car, shattering windows, and damaging the body of the car. 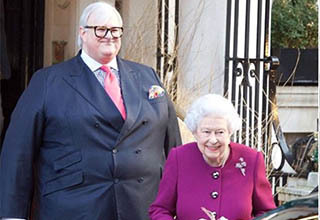 Fiona pulled the car over and used her body to shield her young daughter from the large chunks of ice raining down on them. All three occupants of the vehicle were taken to the hospital but none had any life threatening injuries. 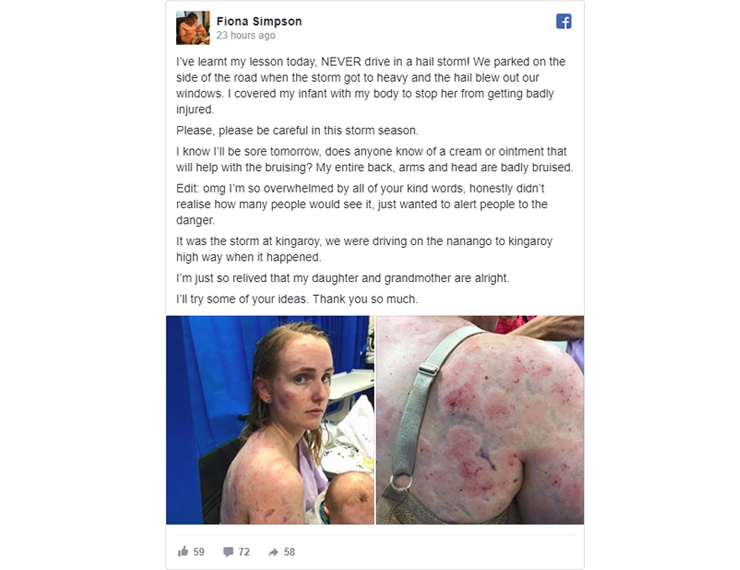 A post shared by Fiona on Facebook pleads with others not to drive during severe storms as well as stating she "learned her lesson, never drive during hailstorms!" Check out this video of a man watch helplessly as giant hail completely destroys his car.